Read today that Ai Weiwei’s $1m vase smashed by protester in Miami museum. Although, the validations of a work of art is socially unacceptable, but I can’t help finding it amusing that the vase was one of the repainted Han Dynasty urns and displayed in front of the photographs of Mr. Ai himself dropping an urn, which dated 206BC. Through out history, many works of art have been vandalised, some innocent, some vicious and some become works of art of their own right. The Dutch master’s painting has been vandalised three times. The first attempt came in 1911, when a former navy chef attacked the piece with a knife, but failed to cut through the thick varnish. Then in 1975, William de Rijk repeatedly slashed the painting. After claiming Jesus made him do it, the unemployed school teacher was sent to a psychiatric hospital. The painting was restored, but traces of the cuts still remain. The work was vandalised again in 1990 when an escaped psychiatric patient sprayed it with sulphuric acid. Only the varnish was damaged after guards quickly diluted the acid with water, and the painting was restored again. Copenhagen’s iconic statue of Hans Christian Anderson’s fairy tale character of the same name, has been vandalised many times. Officials have even considered moving it several metres offshore from the harbour to protect it from the public. The statue has been beheaded twice – first in 1964 and again in 1998. The statue lost an arm in 1984, but it was returned two days later. In 2003, the mermaid was blasted off her base with explosives. In 1914, suffragette Mary Richardson took a meat cleaver to the Spanish artist’s 1647-1651 creation at London’s National Gallery. She slashed it seven times, although it was successfully repaired by the gallery’s chief restorer. Ms Richardson later explained her actions were in protest of the arrest of suffragette leader Emmeline Pankhurst the previous day. “I have tried to destroy the picture of the most beautiful woman in mythological history as a protest against the government for destroying Mrs Pankhurst, who is the most beautiful character in modern history,” she said in a press statement. The white triptych by American painter Cy Twombly was vandalised in 2007 while being exhibited in Avignon in France. The French-Cambodian artist Rindy Sam was so overcome by Twombly’s all-white Phaedrus that she kissed it, leaving red lipstick smeared across the multi-million dollar canvas. British street artist Banksy, “vandalised” and signed an unremarkable oil painting he had bought from a Housing Works shop for $50 (£31), before returning it and having it put up for auction. Titled The Banality of The Banality of Evil, the piece now depicts a Nazi officer sitting on a bench and gazing at the autumnal mountain range painted by the original artist, who signed it “K. 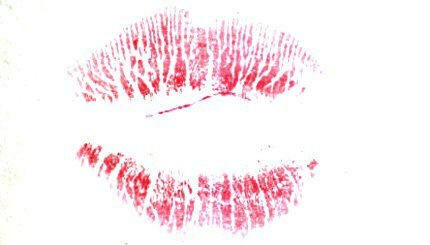 Sager”. 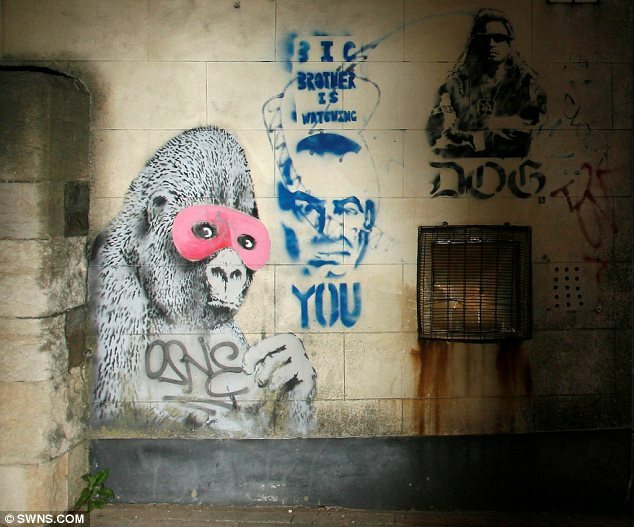 In 2011 unsuspecting wall-owner whitewashed over British street artist, Banksy’s painting, one of the artist’s early artworks, of a gorilla wearing a pink eye mask. At the time people called it an act of vandalism, but the wall-owner hadn’t realised its significance, having not ever heard of Banksy. The artwork has now been partially restored.